Congratulations to everyone that competed, with a special thanks to Zara Tso, Leo Diebel, Jack Remmington and Joel Fishel for their fabulous MCing and performances. Tickets have come back on sale on our website and will be available to purchase until 9am on 22nd April. All remaining tickets will be available on the door on a first-come, first-served basis. It’s only ten days until our Festival Weekend, and our finalists (eighteen groups, to be exact) are all working their socks off to bring killer sets to the Voice Festival stage. As we write, they’ll be finalising last bits of choreography and polishing those tricky harmonies in order to impress our professional judges and become the 2017 champions. ‘However your group is organised – whether you have a committee, a musical director or everyone gets involved with leading your rehearsals – give whoever’s taking you through your preparations the very best of your time. ‘Things will probably go wrong. Distraction can happen. Set lists might change and you may well find yourself behind. Sometimes people miss rehearsals or fail to learn music, or from personal experience they may even miss their train to the competition venue (!) and that’s not OK.
‘Let’s face it, you’re in an a cappella group, you probably quite enjoy singing well with like-minded people in front of an audience who care about what you’re doing. As such, the Voice Festival is an incredible opportunity. You’re being encouraged to do what you love by a culture of people who love (and I mean genuinely love) what you do, especially when you do it well. So – don’t miss that opportunity, but don’t make it out to be anything more or less than it is. In a “Pitch Perfect” world, a cappella can be over-dramatised and misrepresented – competitions especially. Don’t get caught up in the stories people tell. For the second year in a row, our annual Festival Weekend will be taking place at the beautiful Hammond Theatre at Hampton School, West London, on the 21st and 22nd April 2017. The Festival Weekend is undoubtedly the highlight of The Voice Festival’s calendar. 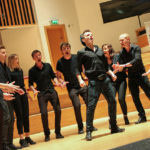 The weekend, which includes our annual championships, brings together hundreds of participants and audience members in a celebration of singing and creativity. While it’s too late to apply to compete this year, members of the public can still get involved in other ways. Read on to find out how! We have three separate competition categories – Youth, University, and Community. You can purchase tickets to each individual final – get yours here, from £12 (get 25% off before 7 April). Throughout the weekend, internationally renowned a cappella professionals will lead a series of workshops on improvisation, beatboxing, vocal health, dancing, recording, and more. These workshops are open for everyone to attend – purchase your Weekend Pass to join us in the workshops, and gain access to all the competition finals too, from £39 (get 25% off before 7 April). Can’t be there on the weekend? We’ll be sad to miss you, but we’ll be sharing all the best bits of the weekend on our Twitter and Facebook accounts, as well as live-streaming the results announcements on Facebook Live, so you don’t get that FOMO feeling. Got something to say? Use the hashtag #VFUK2017. We’re looking forward to welcoming you to West London in just 6 weeks! If you were writing a who’s who of UK a cappella, The Swingle Singers line up over the years would be a good place to start. Richard Eteson sang High Tenor with the Swingles for over 10 years and can be heard on 8 of their albums. Not to mention that he is a Voice Festival stalwart – coming back time and time again to judge for us, so he’s seen his fair share of UK a cappella over the years. This year he was one third of the University Semi-Final judging team and enjoyed watching 12 groups perform 8 minutes each. After the weekend Richard shared some reflection on his judging experience, as well as some hints and tips that he would absolutely love to tell groups as they are planning sets in the future. So first things first, what did you think of what you saw at the Festival Weekend? I really enjoyed it and although it is a cliche, the standard really does keep getting higher every year. There is now real quality throughout the semi-finals and finals which is fantastic to see, although it makes it much tougher for the judges of course. Time is short in a set, so what do you wish groups made more time for? I felt a lot of performances have become quite formulaic as competition showcases – “let’s show off what our group/our star soloist can do, and pick a good balance of fast/slow songs ticking as many boxes as possible”. In essence I feel there needs to be a solid reason to include anything in a set – ask yourselves, “What is the function of this song/solo/bit of VP/feature?” or “How should this make the audience react/feel?”. Impressive skills and impeccable performance are now very much a given at this level, much more can be explored in transmitting the emotion/feeling/reason of a song. It’s been a while since I’ve seen a group telling a single story throughout the set – maybe reaching over into drama a little bit. While we know time is precious particularly when planning for the Voice Festival or an Edinburgh show, groups might consider making a brief announcement between songs to the audience (either to make it more personable, or to make it seem more like a gig, to tell us more about the group, the song, the soloist, the back story of an arrangement), to make a connection between the performers and the audience. Most importantly – The Voice Festival has one of the best judging rubrics around – a third of this is devoted to creativity in any aspect of the performance – be bold and imaginative – if done well it really will make you stand out! Musically, what makes the excellent stand out from the average? The general quality of musicianship and performance is now extremely high – always try and go deeper and further in rehearsal preparation than the next group in terms of tuning, solid groove/time, blend, ensemble, dynamic range, balance of voices, contrast or unity of voicing, style of song. In rehearsal there should always be something else that you can refine when breaking down an arrangement. Remember though once you’ve done all that work, that the song needs to be put back together again and still make sense as a whole. We know that groups are thinking about the visual impact of their shows more and more; what do you wish groups would consider? Couple of thoughts on this one – particularly for the University and Youth groups: How about getting away from the uniform-like costumes? Consider starting the set off stage (at the moment every group enters, lines up, blows a note then starts), or staggering the entry (starting with a few singers then adding more bit by bit as the song grows). And what about something different that a group could incorporate into their set? Well, no one has the monopoly of ideas on this one but what about some audience participation in a classy way – not just clapping along, but teaching them a chorus line, or a 2 part refrain, or some elaborate body percussion that adds an extra dimension to the performance? We want to start our Day 2 blog post with possibly the loveliest image of the weekend so far, which is just a great indication of the way our groups support and encourage each other, even in the face of formidable competition. We had a load of great stuff going on during the day – Andrew Panton had singers up on their feet working on choreography, Tobias Hug and Grace Savage shared their unique vocal percussion sounds with groups of all ages, and some lucky participants appeared onscreen in a music video that will be coming soon to our YouTube channel! Meanwhile singers had the benefit of Russell Scott’s expertise in performance, and we held some useful round table discussions on the challenges of being an MD and the highs and lows of taking a group to the Edinburgh Fringe Festival. So, to the news we know you’ve al been waiting for. The Youth champions, for the second time since the Youth Competition began, are the Tiffinians! And – the University champions 2016 are the Bristol Suspensions! The standard was ridiculously high and the judges couldn’t help but give out not one, not two, but FIVE special awards to commend the amazing talent of our groups. Well, it’s been a rollercoaster ride for our University singers today. We saw an extraordinary range of music, from songs in a foreign language (Tous les Memes by Stromae) to some killer versions of Adele’s Hello. who succeeded in impressing the judges and will be battling it out to become the next University champions! For those that have been asking – we don’t have many tickets left for the University Final, but the limited few available will go on sale at Box Office tomorrow at 10am. To celebrate the success of all our singers (who totally did themselves proud today, no matter the result), we’re wrapping up the evening with the ‘Acachallenge’. It’s traditionally lead by our very own Michael Humphrey but he’s disappeared to the Caribbean this year (huff) so the wonderful Ed Scott is taking up the mantle and leading our singers through a well-deserved relaxed singing and dancing sesh! We’re really excited to be able to announce our judging lineups. These judges will have the tricky task of narrowing it from 12 University Groups on Friday to 5 for the Final on Saturday. Remember you can get tickets here. Yvette Riby-Williams appeared twice as a soloist at the royal Albert Hall before the age of twenty-one. 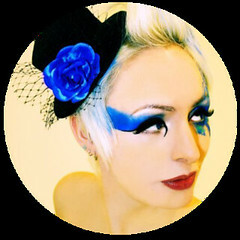 Since then she has performed with a number of well-known musicians including Imogen Heap, Shlomo, Seb Rochford and Jarvis Cocker. In the last years she has made a name for herself in the beatbox and a’cappella circles with the ‘Boxettes’ selling out venues such as the Jazz Cafe, Cargo and the South Bank as well as performing in festivals all over the world. She is an experienced music educator, promoting creative learning for all ages. Richard Eteson is one of London’s most versatile and accomplished tenors. From local beginnings as a choirboy in Bingley, West Yorkshire, he went on to become Head Chorister at King’s College, Cambridge, later returning there as a tenor Choral Scholar studying Japanese and English. For over 10 years he sang high tenor with The Swingle Singers, travelling the world, recording 8 albums and performing in many of the world’s leading venues such as La Scala, Milan; The Concertgebouw, Amsterdam; Suntory Hall, Tokyo; the Esplanade Centre, Singapore; and the Parco della Musica, Rome. 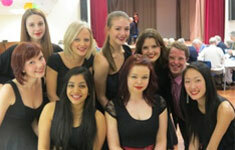 In 2010 he founded the London A Cappella Festival. 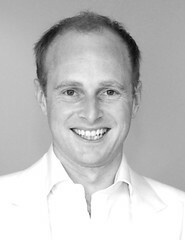 He has sung with many of London’s finest vocal groups, choirs and session groups (The Gabrieli Consort, Tenebrae, The Temple Church, Polyphony, Tonus Peregrinus, The Brabant Ensemble, The Eric Whitacre Singers, Heritage Voices, The Philharmonia Voices and London Voices), and regularly appears as a soloist of oratorio in the UK. He is frequently called upon as a judge of singing competitions and is a tutor for the National Youth Choirs of Great Britain. The many varied projects he has been involved in have seen him work with artists such as Luciano Berio, Antonio Pappano, Jarvis Cocker, Scott Walker, Hans Zimmer, Sting, Aphex Twin and Goldie. He has made over 50 CD recordings and sung on numerous blockbuster movie soundtracks (e.g. Harry Potter, The Hunger Games and James Bond Spectre). He also has sleeve credits for dog whistling, playing coconut shells and the “Good Friday Clacker”. 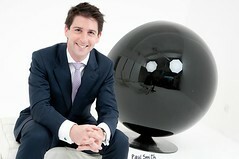 Paul Smith is an innovative and creative performer, an inspirational educator and an empowering public speaker. As CEO of the VCM Foundation, co-founder of VOCES8 and author of The VOCES8 Method he has enjoyed a decade of work including global travel to prestigious concert venues, schools and universities. Paul is passionate about the impact singing and the arts can have in the widest possible context – from academic improvement to social skills and building more cohesive communities. He uses that passion to design and deliver unique, inclusive and uplifting performance projects. The VOCES8 Method, written by Paul, is published by Edition Peters in three languages, and is now being used in thousands of schools in nine countries. The Method is designed to link specific music-making activities with academic improvement in numeracy, literacy and linguistics. Since its inception in 2007 the VCM Foundation has worked with more than 250,000 young people. Projects have included massed singing performances at the Royal Opera House (London), Cité de la Musique (Paris) and La Folle Journée (Nantes); and with ‘singing city’ projects in cities such as Torino, Wroclaw, Lyon, Hannover, Houston, Albuquerque, Dallas/Fort Worth, Bermuda, Nairobi, Lagos, Dubai, Tokyo, and Taipei. Working in partnership with the Diocese of London, Paul has spearheaded the creation of a home for the VCM Foundation at the Gresham Centre, a centre for excellence in vocal music performance, education and outreach in the heart of the City of London. As an educator and public speaker, Paul has given speeches and created sessions on music and leadership, teamwork, health and wellbeing, music and creativity and The VOCES8 Method. In 2014 he gave a TEDx talk entitled “How can we use music to help us learn?”. Engagements at international conferences include the ACDA National and Regional conventions; Europa Cantat; the London Music Education Expo at the Barbican; Chor.com, Germany; the World Symposium of Singing in Budapest at the Liszt Music Academy; Singing Cities at BOZAR in Brussels; and at the Royal College of Music in London. 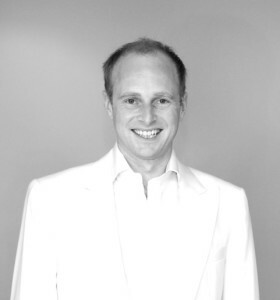 Paul has been singing for nearly 25 years, first as a boy chorister with the choir of Westminster Abbey, and, since 2005 with the group he co-founded with his brother, VOCES8. As a recording artist with Decca Classics, Paul has featured on bestselling, chart-topping albums and won a host of international awards. We’re really excited to be able to announce our judging lineups. Here’s the judges who will be picking our University Winner. Remember you can get tickets here. Nic Doodson has been at the forefront of the global a cappella scene for the past 20 years as a performer, director, competition judge and producer. As a performer he founded The Magnets and took the group from amateur student beginnings to the most successful a cappella group to ever emerge from UK. The Magnets were the first contemporary a cappella group to land a major record deal when they signed with EMI in 2001 and went on to release three ground breaking and award winning records. Notching up over 2000 performances throughout Europe, the Middle East, Asia, Africa and Australia, The Magnets set the template for contemporary a cappella performances which is now followed by up and coming vocal bands the world over; in many countries The Magnets were the first a cappella group to break through to the mainstream pop field and have performed to sold out crowds in cities such as Mumbai, Jerusalem, Harare (Zimbabwe), Moscow, Calcutta, Shanghai, Nanjing (China), Sydney, Auckland, New York, Berlin, Vienna, Singapore and many others. As a producer Nic has created and managed a cappella shows at festivals throughout Europe, Australia, and New Zealand and as one of the most experienced a cappella performers in the world has judged multiple national and international a cappella competitions. Having established a world-class reputation in the beatboxing scene with THREE British Beatboxing Championship titles under her belt, Grace is set to break into the music industry by harnessing her extraordinary vocal power in a melodic blend of edgy electronic pop. Her Debut EP is a beautifully crafted selection of dreamy, atmospheric pop which perfectly showcases Savage’s ethereal vocals alongside her beatboxing talent. With crashing beats, brooding production and hypnotic synth, the lead track ‘Diamonds on Your Skin’ was crowned the favourite of the show by the panel on BBC INTRODUCING Devon. 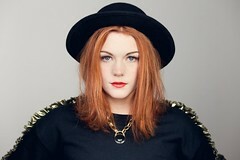 Fronting a live band and singing, Grace has shared the main stage at festivals with the likes of Rita Ora and Katy B, supported Labrinth and Newton Faulkner on his solo tour, as well as performing at the Glastonbury Festival and Jamie Oliver’s Big Feastival. Grace’s loop station cover of BANKS ‘Waiting Game’ recently caught the eye of SBTV founder Jamal Edwards, leading to her SBTV debut and a request from the man himself to make a follow up which will feature on the website very soon. Savage’s extraordinary creativity spans across her singing, acting and beatboxing alike, with Grace recently been listed as one of ELLE UK’s ‘Top 100 inspiring women’ alongside the likes of Angelina Jolie and Oprah Winfrey. 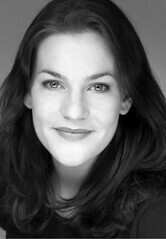 Following success at The National Theatre and a solo show at SOHO Theatre, Grace is receiving repeated high praise from the likes of The Guardian, The Telegraph, The independent, Metro, London Evening Standard to name but a few and is now signed to UNITED agents as an actor. For more information about Russell Scott, please visit www.russellscottentertainment.com. He can be followed on Twitter at @RussellScottUK and presents his own YouTube blog, A Life In Music with Russell Scott, aimed at performers who strive to be the best they can be. We’re really excited to be able to announce our judging lineups. Here’s the judges who will be picking our Youth Winner. Remember you can get tickets here. Tobias Hug has been singing, teaching, travelling for almost 20 years – an a cappella journeyman and beatbox gypsy. He is deeply involved in the a cappella and choral music scene around the globe, a connecting and well-connected figure. Based in London, Tobias has performed or collaborated with The Swingle Singers, Bobby McFerrin, World Music stars Zap Mama, the Puppini Sisters, the London Voices, Jazzchor Freiburg and many more. He currently performs with his The Beatbox Collective, with his own Loop Solo Programme and focusses on Master Studies in ‘Rhythmic Choir Conducting’at the Royal Conservatory of Aalborg, Denmark. His new group Beatvox recently won the UK Event Entertainment Award 2014 for Best New Act (‘Beat the Brief’ Competition). His deep passion and commitment to teaching leads to workshops and residencies in places as diverse as Singapore, Norway, China and Kenya. Italy though has always been an important centre of his work. As session singer and member of London Voices he has performed on numerous movie soundtracks including The Hobbit and Interstellar. 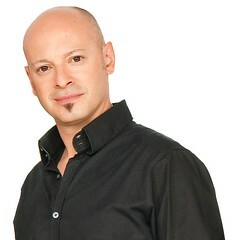 As a voice-over artist, Tobias has been featured on several BBC Radio programmes and commercial computer games. From 2001-2012, Tobias sang with Grammy-Award winning a cappella group The Swingle Singers and was one of their longest-serving members. As their bass and vocal percussionist he was part of seven studio albums, and performed more than 700 concerts in the great concert halls (from Teatro alla Scala to the Kremlin Palace), with the great orchestras (from the Vienna Philharmonic to the Academia di Santa Cecilia) and with great artists (from Zubin Mehta to Jamie Cullum). As their former Artistic Director he set up collaborations and projects, as well as TV appearances. Together with beatboxer Shlomo (featured on Björk’s album “Medúlla”) he founded the world’s first beatbox choir (now the “Vocal Orchestra”). The Swingles’ or Tobias’ arrangements and voices can be heard on TV show “Glee”, on the most recent Monty Python movie as well as adverts (T-Mobile’s “Welcome home” Flashmob campaign, with 14 Million hits on YouTube). Born in the midst of the Black Forest, in Freiburg, Germany, Tobias studied Music Education and never limited himself to one particular form of music, exploring anything from throat singing to vocal jazz, from Early Music to beatboxing. Beyond the a cappella world, worked or performed with German techno legend Tiefschwarz, experimental music artist Aphex Twin, classical pianist Katia Labeque, the late Les Paul, loop wizard and Imogen Heap-Collaborator Tim Exile…and many more. Tobias is co-founder of the London A Cappella Festival and EVA, the European Voices Association and most recently of the italian a cappella festival Vocalemente which he is also Artistic Director and Executive Producer. He advises and adjudicates at festivals like VocalAsia (China), Terem Crossover Competition (St.Petersburg/Russia) the UK Beatbox Championships, Solevoci (Italy), The Voice Festival UK and the CARAs (Recording Awards). Ben is quickly gaining an enviable reputation as a dynamic conductor and choir trainer, always able to draw the best from his singers. Having left his role of Head of Music at Tewkesbury School in August 2012, he has been in regular demand to lead workshops, start new choirs and conduct existing ones. He has been Chorus Master for Gloucestershire Music’s Massed Chorus of 500 students which performed at the Royal Albert Hall in the ‘Music For Youth’ in November 2012. This has led to him being a founder conductor of the new Gloucestershire Youth Choir. 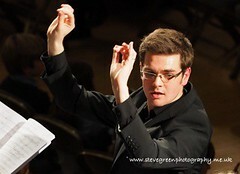 Ben was also Assistant Conductor for Cheltenham Festival’s production of Benjamin Britten’s community opera, ‘Noye’s Fludde’, and he regularly conducts Tyndale Choral Society, Hanley Voices and Tewkesbury Voices. Aside from conducting, Ben sings countertenor. He is a member of the international award winning male voice a cappella group, The Songmen. With The Songmen, he has toured America, China, much of Europe and performs regularly in the UK. 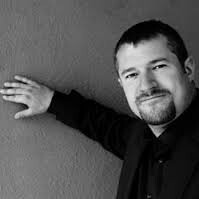 He is also the group’s composer-in-residence and has had a number of his compositions and arrangements played on national radio. Ben has been a lay clerk at Birmingham and Gloucester Cathedrals and sings with Tewkesbury Abbey Schola Cantorum, as well as being in demand as a countertenor soloist. 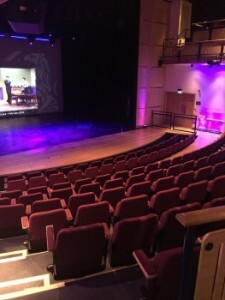 Award winning director Andrew Panton has held residencies at The Royal & Derngate Theatres, Perth Theatre, Stage Door (New York) and The Stephen Joseph Theatre, where he directed a premiere season of Sir Alan Ayckbourn’s work. He is the creative director, vocal & performance coach for Susan Boyle who shot to fame following her appearance on Britain’s Got Talent in 2008 and went on to have the fastest selling UK debut album of all time. 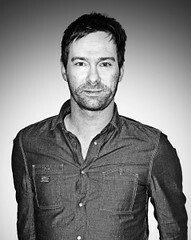 Andrew is the Artistic Director of Musical Theatre at the Royal Conservatoire of Scotland.